Fresh from the oven – Iron Maiden will make their third appearance at the legendary Rock in Rio festival on 22nd of September 2013. In 1985 Maiden did a stunning set in front of an estimated 300.000 strong crowd as direct support to Queen. The gig which was a part of the World Slavery Tour marked Maiden´s first appearance in South America. Including among other legendary moments this spectacular rendition of Revelations. The band returned in 2001 for a headlining show that saw the British metal icons playing to almost a quarter million people. The gig was later released on DVD and CD as the now infamous Iron Maiden – Rock in Rio DVD. Needles to say, with the spectacular Maiden England to go, a night to remember is definitely in store. Other headliners are Bruce Springsteen and Metallica. 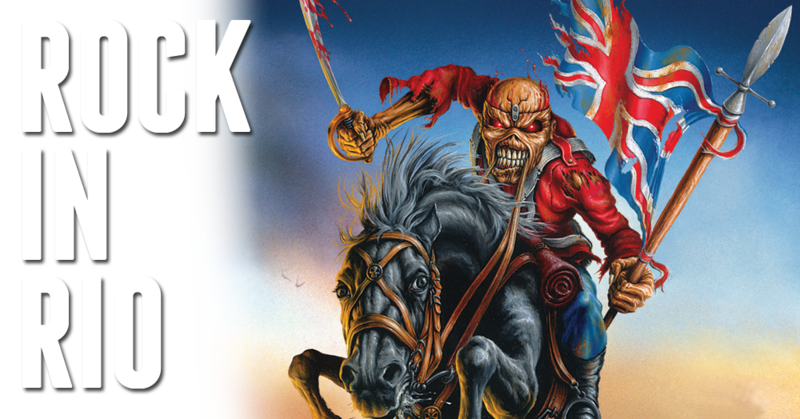 ← Maiden returns to Rock In Rio in 2013?